Kick off! 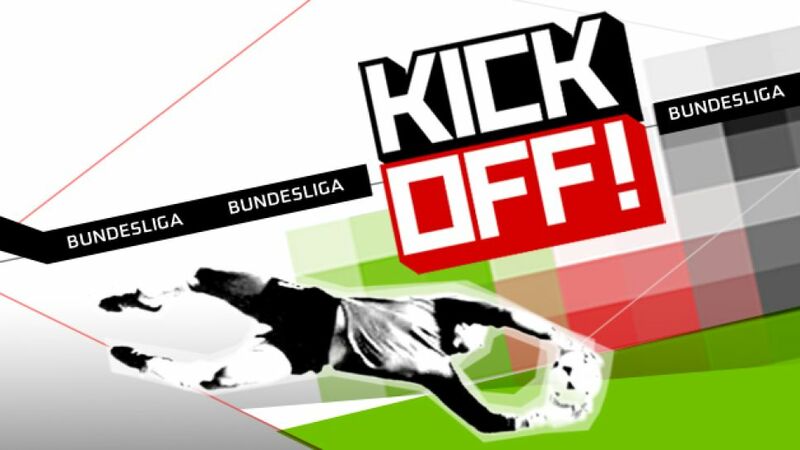 is pure Bundesliga soccer, broadcasting the Bundesliga to the world - every week! Kick off! is pure Bundesliga soccer - the real thing, featuring all the games, all the goals, every week on DW. The players have barely left the pitch and we’re on air, broadcasting the Bundesliga to the world! Kick off! - The Bundesliga Highlights puts you in the know about the weekend's clashes from top-of-the-table rivalries to relegation battles. In Coming Up we go behind the scenes and speak directly to top players and coaches, and go to training sessions to find out the very latest, whether it's team tactics or a test of nerves ahead of a Bundesliga derby. We're the go-between, acting on behalf of our viewers! Kick off! connects with all the passion that is football. Kick off! Countdown - The Bundesliga Preview is aired ahead of the weekend with the latest on the upcoming Bundeliga fixtures. In Special Report we showcase soccer's worldwide role, from loyal support for local clubs, football passion in prison and how soccer shapes the personal world of the game’s supporters. Germany's top football division kicked off for the first time on August 24th, 1963. Kick off! is marking the 50th anniversary with a party in Berlin's Babylon cinema, host of the annual 11mm football film festival. Five decades, five films and all the heroes of the day, from Uwe Seeler to Michael Ballack, Sepp Maier to Jürgen Klopp. Happy Birthday! Dortmund, Real Madrid, Schalke, and the German national team - Christoph Metzelder faced them all during his playing career. Now at the age of 32, he’s hung up his boots to devote time to his marketing company, his charity and his second career as a broadcaster. We talk to one of the giant figures of the modern German game. So will Jody Strauch. She travelled 12,000 kilometers to watch her very first Schalke match. It was the last day of last year's season. Strauch teaches media design at a university in the US state of Missouri. She met up with "Kick-Off!" reporter Thomas Lemmer, who's also a Schalke fan. He was used to seeing matches live - but for Jody, it was a thrilling experience. See how two different fans react to the same match. Borussia Dortmund and Bayern Munich meet at Wembley Stadium to decide who is the best team in Europe. Two clubs that have ruled the Bundesliga for the last four years. Two clubs that have delighted fans around the world with their thrilling styles. Kick off! tells the stories of those fans as they experience the climax of a truly great season for German football.